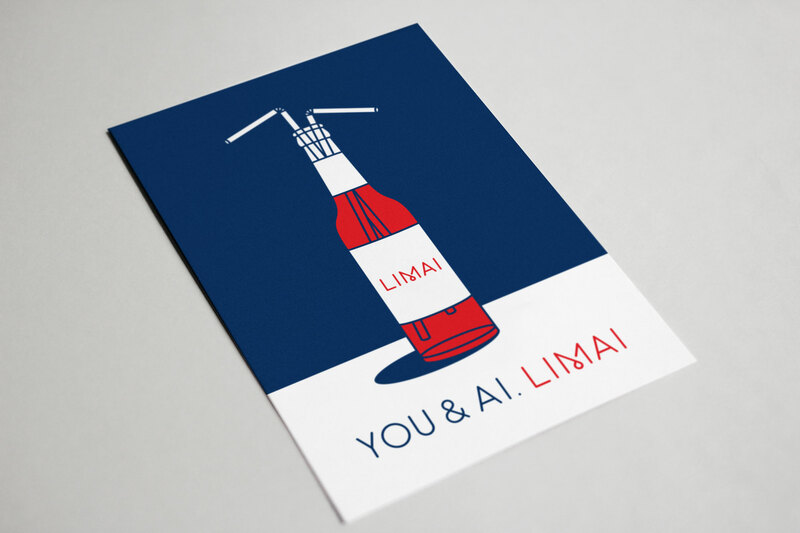 You & Ai. 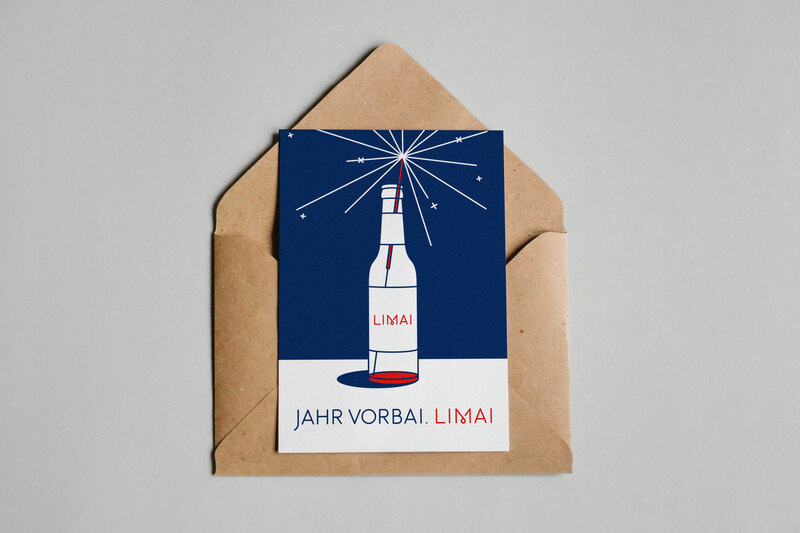 Limai	Concept and design of posters, postcards and new years card for the refreshing soft drink Limai. The illustrations play with the existing style of the packaging. 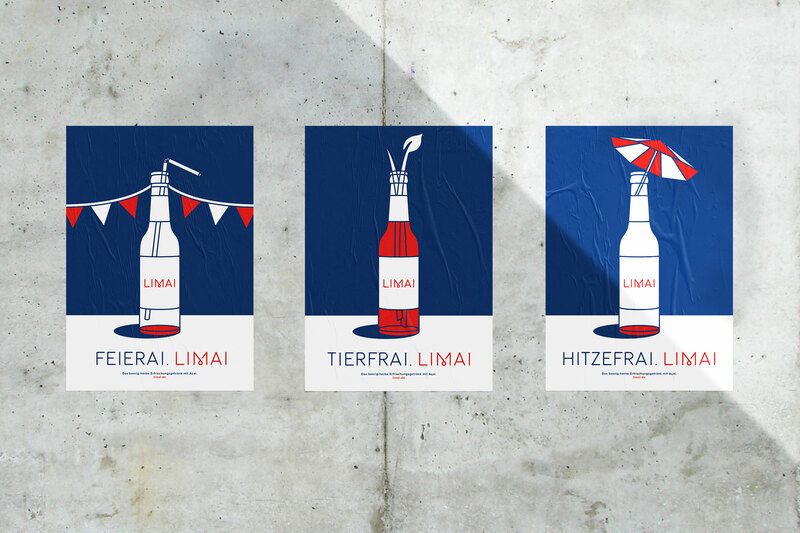 The exclusively designed typeface is based on the proportions of the word mark »Limai«.